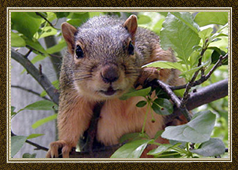 Wildlife Removal services can assist customers with wildlife problems caused by squirrels, raccoons, bats, snakes, birds, fox, skunks, deer, geese, groundhogs, opossums, turtles, rabbits, chipmunks and more. We pride ourselves in providing full service wildlife solutions. Once problem animals are caught and removed we provide solutions to help prevent any further problems. Our solutions work and our results are guaranteed. Most work is guaranteed up to 5 years against animal reentry. We also provide Dead Animal Removal, Bird Control, Bird Cleanup, Nest Removal and many other services that make us one of the most complete wildlife removal companies in Northern Virginia. Wildlife Removal services is one of only a few companies that have a nuisance wildlife removal permit from the state of Virginia and we are fully insured. We are also a proud member of the National Wildlife Control Officers Association. Don't let the wildlife of Northern Virginia take over your home. 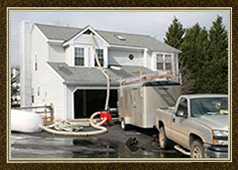 Give Wildlife Removal services a call today and rid yourself of all nuisance and problem animals. Some of the locations we provide service to are : Fairfax, Vienna, Springfield, Great Falls, Arlington, Alexandria, Reston, Centreville, Herndon, Oakton, Haymarket, Gainesville, Lake Ridge, Fredericksburg, Stafford, Woodbridge and Manassas. Please take the time to look around our website as it has recently been updated, we have added coloring pages for the kids on the media page, a more up to date and detailed animal page and a user friendly "contact us" page, we also have operators available to for "live help". Just think, we can address any concerns, answer any questions and make appointments right online, no phone calls necessary. If an operator is not available, just fill out the "contact us" page and in the comments put the times you are available, and a wildlife representative will contact you at your convience.